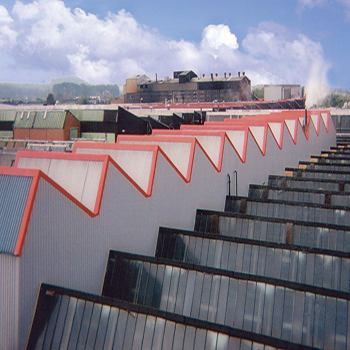 PROFILE Industrial Roofing Services have carried out numerous roof sheeting and cladding contracts, consisting of single skin, double skin, composite panels and overlay systems. 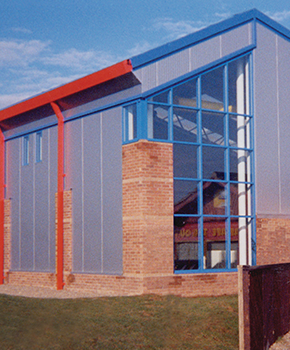 We can supply and fix all types of sheeting and cladding to suit your requirements, this to include Microrib and Rainscreen systems. 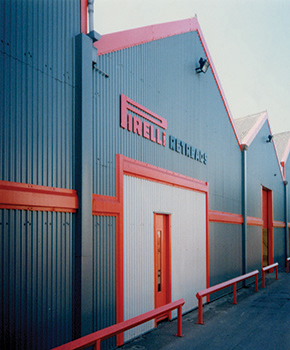 We can replace the entire roof or wall cladding by replacing with a new composite roof or a built up cladding system, alternatively we can over-clad existing roofs and walls. Our trained surveyors will attend your site and discuss your options and requirements before providing a specification and quotation with your choice of refurbishment or the options available. We can also provide a service to treat the end laps of the roof sheets to stop further deterioration if the paintwork on the sheets is peeling and rusting. End lap refurbishment of deteriorated sheeting is a popular treatment which we can apply to sheeted and cladded buildings. PROFILE have been removing Chrysotile asbestos cement roofs for over 20 years. Chrysotile asbestos cement roofs are very fragile. Therefore, the necessary health and safety requirements must be in place to remove the sheeting or over clad the sheeting safely, in order to protect roofing operatives, customer employees and property. All asbestos materials are removed from the roof area, as per HSE guidelines and using the correct PPE and safety equipment. Materials are then disposed of in specialist asbestos skips, managed by licensed waste carriers and waste disposal firms, to the relevant licensed asbestos disposal site.